Numbness of an extremity is referred to as paresthesia. It is normally not a cause of concern, but in some instances may indicate underlying medical problems. When accompanied by pale fingers (also called blanching), it may point to health issues and should be investigated. 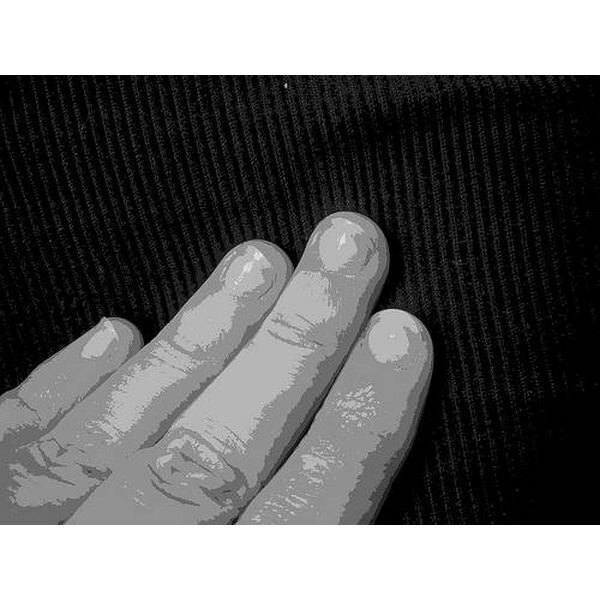 Temporary tingling and discoloration of fingers can be a normal response to cold. This can happen when you are outside in extreme temperatures without gloves, or when you hold onto something cold, such an iced beverage. However, fingers that turn white and go numb may also be a result of a condition called Raynaud's Syndrome. Another phenomenon that can cause whiteness and numbness is Vibration-Induced White Finger (VWF). It's similar to Raynaud's, but VWF is caused by using vibrating hand tools, like jackhammers. Both syndromes involve blood vessels that constrict or spasm. Raynaud's can be what is called primary, with no cause behind the constriction of blood vessels, numbness and pale extremities. Or it may be secondary, which means it is the result of an underlying illness (such as lupus, vasculitis, diabetes, scleroderma, artery or thyroid disease or rheumatoid arthritis), some medications, or from injury from carpal tunnel or even smoking. If numbness is the result of temporary constriction of blood vessels from lack of circulation, exercising your fingers or swinging your arms in large circles can force blood back into the extremities to get sensation back into the fingers. Symptoms of Raynaud's may be relieved by stopping smoking or medications that cause blood vessels to constrict. Treating an underlying condition, such as thyroid problems or diabetes, may also help give relief. If Raynaud's symptoms are severe, treatment may include heart medications that affect blood vessels, called calcium channel blockers. Doctors will also sometimes prescribe a vasodilator, which causes blood vessels to open up. In extreme cases, nerve surgery or injections may help. Merritt's Neurology. 11th ed. Baltimore, Md: Lippincott Williams & Wilkins; 2005:chap 5.